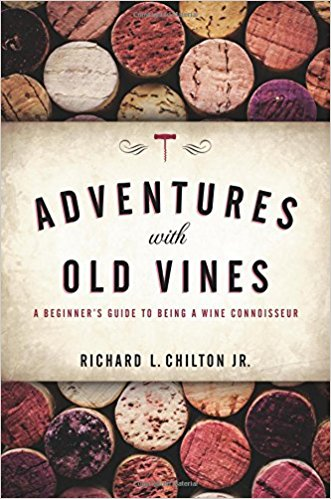 Home » book » Book Review: Adventures with Old Vines, A Beginner's Guide to Being a Wine Connoisseur by Richard L. Chilton Jr.
Book Review: Adventures with Old Vines, A Beginner's Guide to Being a Wine Connoisseur by Richard L. Chilton Jr.
Richard L. Chilton Jr. is a co-owner of Hourglass Vineyard and he has a strong opinion on the definition of a connoisseurship. He says that it’s “the art of tasting wine: pulling the cork, savoring the delight, recording the experience, and comparing the differences between wines of different regions, varietals, and countries.” Maybe you love wine but you’re really more of a collector instead, where obtaining great wine is your main objective. Maybe you love wine but you’re the average consumer, buying what you already know you like the same day you’re going to drink it. I guess I wouldn’t be considered a connoisseur because, yeah I love tasting and analyzing wine, but I’m driven by theory, history and being as knowledgeable as I can be for my clients. I’m not all that interested in being able to taste the differences between a 1993 Napa Cab and a 1994 Napa Cab. With his definition in mind, Chilton began writing this book with the intention of both helping new connoisseurs find their way and helping old connoisseurs remember where they came from. What he ended up writing was 49 pages that every wine lover would truly enjoy reading, and another 219 pages that every wine lover should have on their bookshelf for when they need it. The book starts off with usual topics: How to buy wine, how to store wine, how to taste wine. However, Chilton has an ability to make these chapters short, to the point, informative, and extremely useful, so you don’t feel like you’re reading the same old stuff with a different author’s spin. There are some authors that have great knowledge with a great ability to dumb it down for beginners, but it’s clear that Chilton has great knowledge and doesn’t need to dumb it down because he knows how to present it. 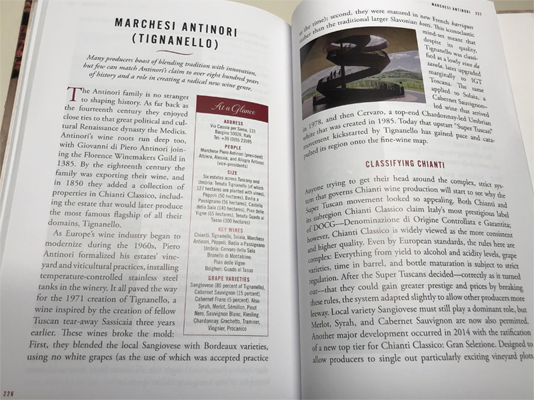 He doesn’t hold back with a ton of information here (it’s a lot more data heavy than other wine books when they tackle those chapters), yet he’s in and out without a single moment that I can’t see would confuse a newbie. DRINK YOUR DAMN WINE! Sheesh! Rich people and their wine cellars. 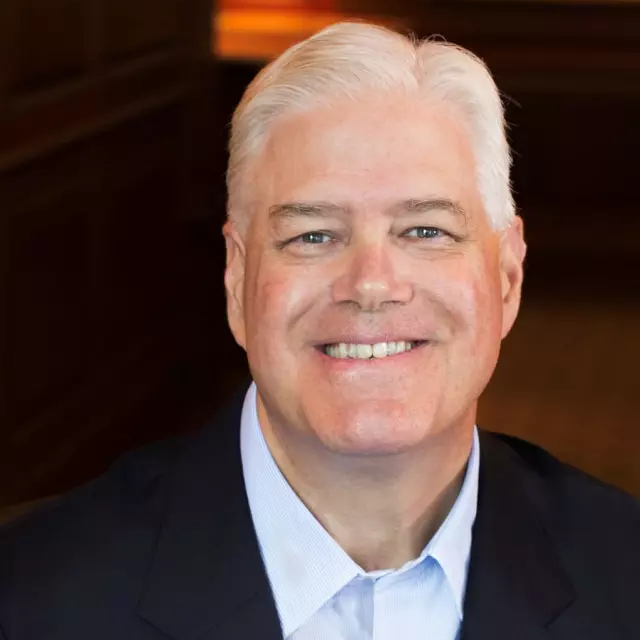 Bill Koch bought a bottle that he thought was from Thomas Jefferson’s collection. Turns out it was a fraud and the wine inside could have been from a box of Franzia Chillable Red or something. Why did he buy that wine? Just to have it. Now, of course that’s why you’d buy a bottle from America’s first wine expert’s collection. You wouldn’t drink it. And that’s why wine fraud is such a huge problem. A lot of the wines at auctions are purchased just so the buyers can say they have it. That’s where I stand on this. If you’re going to collect, then only collect things that you intend to eventually drink. You can’t take it with you. Chilton makes a much classier case here for drinking your damn wine. He has changed how his clients collect, and it’s one of the shining moments of the book. After a few more chapter (how to read a wine list, the history of the sommelier, how wine is made) it’s time for something completely different. It becomes more of a reference book. There are a bunch of wine books that you don’t have to read all the way through but come in handy as useful tools to have. The Oxford Dictionary of wine is essential to own, but chances are you’ll only use it for references and information when you need it. The Wine Bible is another classic reference book, although I do recommend giving it a full read. With the final 2/3rd’s of Adventures of Old Vines, it becomes a great reference book for information when you need it (unless you have photographic memory and can remember it all). 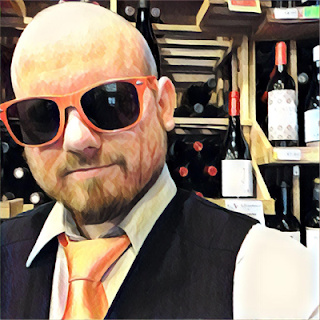 This is where Chilton has taken, what he calls, “Benchmark Wines” and gives you a bunch of important information on them. History, address, owners, vineyard sizes, and top vintages. Handy, right? Now let me explain why I stopped reading this book half way through. Do you really need to know the great vintages of Petrus? Absolutely not. Will you even have the opportunity to actually consume Petrus in your lifetime? The chances are not in your favor. Luckily for us non-snobs, the featured wineries aren’t all as super expensive and ultra rare as Petrus or Romanee-Conti. 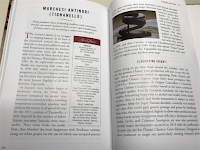 So “Benchmark Wines” is a cool thing to have, but the most valuable tool that this book gives you is its final chapter titled “Summary of great vintages and those to avoid.” It is exactly what you think it is, and it alone is worth the price of the entire book. BUY THE BOOK BY CLICKING HERE!